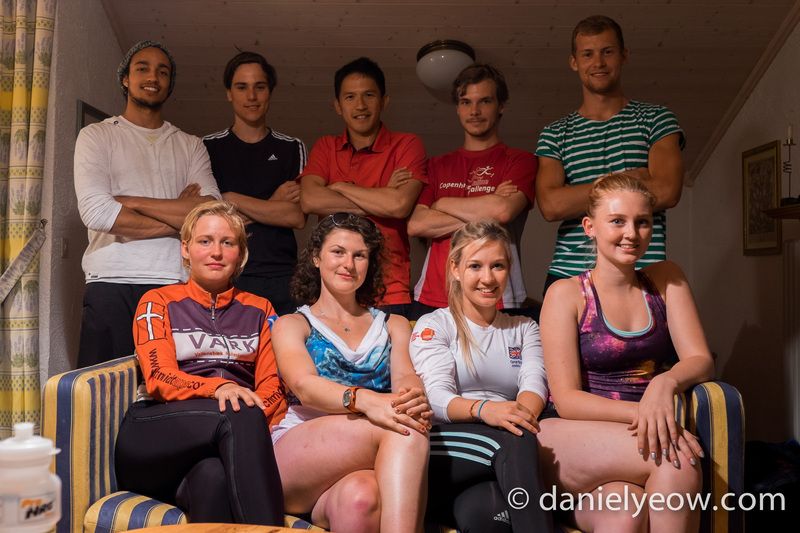 Welcome to the information page for Yeowie’s 2016 Inzell Summer Ice Speed Skating Camp. 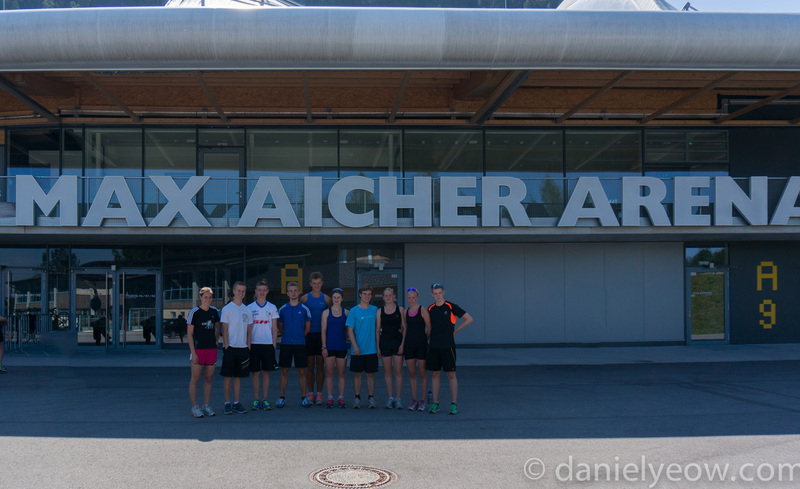 Be part of a fun, annual summer camp in beautiful Inzell, in Germany. Enjoy up to 10 days of hard training under the supervision of me. This camp will focus heavily on technique development and training for technical proficiency, and you will be given a taste of what training is like for elite athletes. Though primarily aimed at young, developing skaters, the training program is accommodating for all levels including skaters from other skating disciplines trying out long track for the first time, as well as skaters who already skate at senior world cup level. There will be ice time almost every day, in addition to off-ice (sometimes called “dry land”) training including running, jumping and skating-imitation exercises. Due to the position of summer ice in the annual skating calendar, this is also a great opportunity to see elite skaters up-close (with whom we will be sharing ice time), and learn from them. In the evenings we will gather together and take turns cooking, after which we usually sit around and do technique analysis followed by card games. Expect to spend about €50 per day, mostly on accommodation, followed by ice time, and food. Some photos from last year’s camp can be found here. Monday July 4th to Wednesday July 13th inclusive (2016, obviously). There is a race scheduled for Saturday July 16th which is not officially part of the camp, but people are welcome to stay longer and participate, the training camp itself will NOT include a race – just hard training. The 4th and 5th are “hard” training days, the 6th is “easy”, the 7th and 8th are “hard”. Saturday the 9th of July is a full day off, during which we may go to Salzburg to do nothing in particular. The 10th, 11th, 12,th and 13th are hard training days. Training days will typically include two training sessions – one on the ice, and one off it. The easy day will have one fairly light training session. I will vary the training intensity and program depending on people’s different abilities, and how people are feeling. Expect some very early mornings. Obviously, your training is your responsibility and you may come and leave this camp as you please, but for the sake of keeping a good group dynamic, I would like people to commit to one of three options – option 1: 4-day camp from the 10th to the 13th inclusive, option 2: 5-day camp from the 4th to 8th inclusive, or option 3: the full 10-day camp. Inzell is situated in the south of Germany, very close to the border with Austria. The closest airport is Salzburg (SZG) which is about 45 minutes from Inzell by car, followed by Munich (MUC) which is about 90 minutes from Inzell by car. The most common ways of getting to my camp are to either fly to Salzburg, where pickup by car can be arranged, or fly to Munich, then take a train to Traunstein from which a pickup can be arranged (or a bus can be taken). If one lives sufficiently close to Inzell and has access to a car, one can also drive there. I will be driving there from Berlin. If anyone is interested in coming with me and sharing time behind the wheel (the drive is 6 hours and I sing rather badly most of the way) I would welcome it, this also gives you the option of making a short holiday in Berlin either before or after the camp. 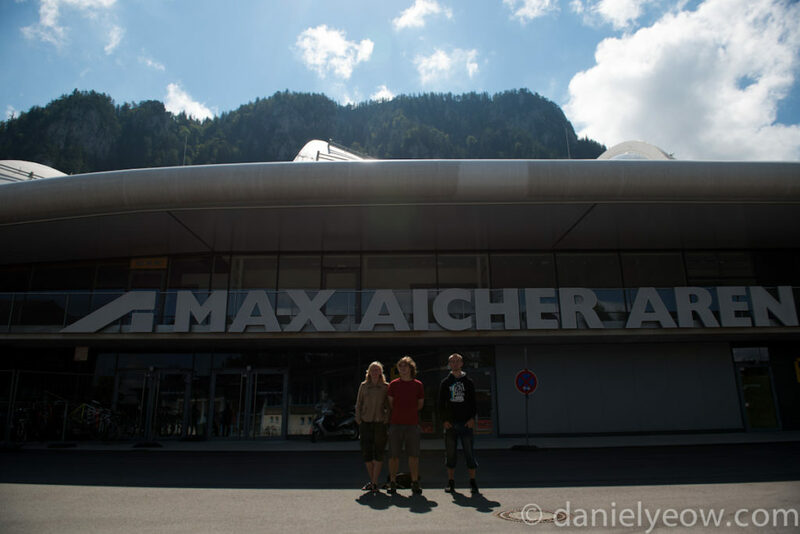 Note that I will arrive in Inzell on the 3rd of July and leave on the 17th of July. Inzell is home to a number of guesthouses and hotels. The following are ones I have personally stayed at and know are centrally-located. Hotels will generally offer to include meals, but we’ll be cooking dinner as a group every night and lunch will your own responsibility and can be had very cheaply from supermarket supplies, so try to talk them down with that in mind. Airbnb is another option (indeed, I’m staying in one), but owing to the uncertainty about exact location, it is suggested that one only pursue this option if one has a car, unless the location of the accommodation is already known (i.e. if one has stayed there previously). Skates (duh). If you do not have your own long track ice skates, we may be able to arrange something, but please let me know well in advance. Clothes to train in – we will be running and jumping a lot in addition to skating on the ice. If you have running spikes, bring them. It is also the middle of summer, so be prepared for warm weather – experience has shown that most days are in the high 20s (celsius) with the occasional rainy day/thunderstorm. If you wish to go to the trouble of bringing a bicycle, I won’t stop you, but I have not written any training rides into the program. There is ample opportunity for both road cycling and mountain biking in the area around Inzell. If you have any questions, comments, or suggestions of things that I should add to this page, please leave a comment below.